Wolf Cola is two guys from Sydney who watch a lot of TV and play old style surfy garage pop that's catchy and good to dance to. The band was formed when two people who were tired of not being in a band decided to be in a band. 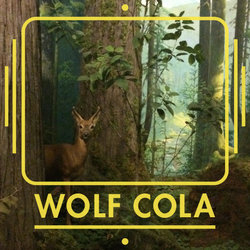 Wolf Cola is made up of a guitarist (Tom) and a drummer (Callum). They like to listen to Ty Segall, Thee Oh Sees, Dead Ghosts, Royal Headache and a lot more bands that sound similar. Wolf Cola like to play songs with an emphasis on melody and fun. Often Wolf Cola likes to write songs about soda and swimming in pools because both of those things are awesome.